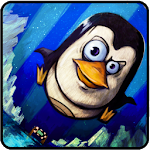 Penguin Skiing is a very fun 3D racing game where you drive the penguin racing down the slope of various famous snow-covered mountains while catching as many fish as possible. Important: Please note that you need to have SD card installed to play this game. It maybe a little lagged on some devices like HTC wildfile because of 3D effects. Thanks for understanding. 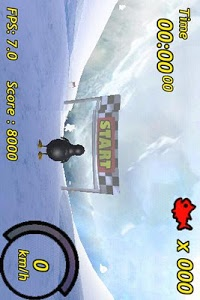 How to play: To control penguin paddling, brake and rotation use trackball, dpad or accelerometer. 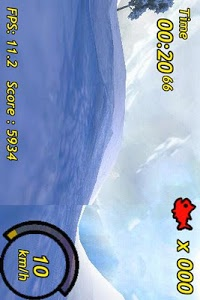 To jump use dpad center or push trackball. To SPEED UP just tilt forward your cell phone. This update is an optional one as we just fixed some tiny bugs. Thanks so much for your love of our game. Similar to "Penguin Skiing 3D"